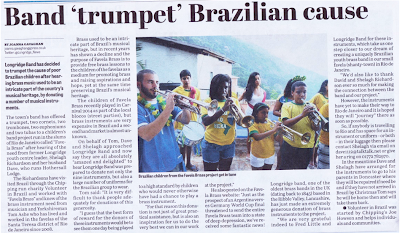 The recent donation of instruments to the project by the Longridge Band has attracted the attention the Longridge News, who ran a nice piece about us and the Longridge band yesterday. 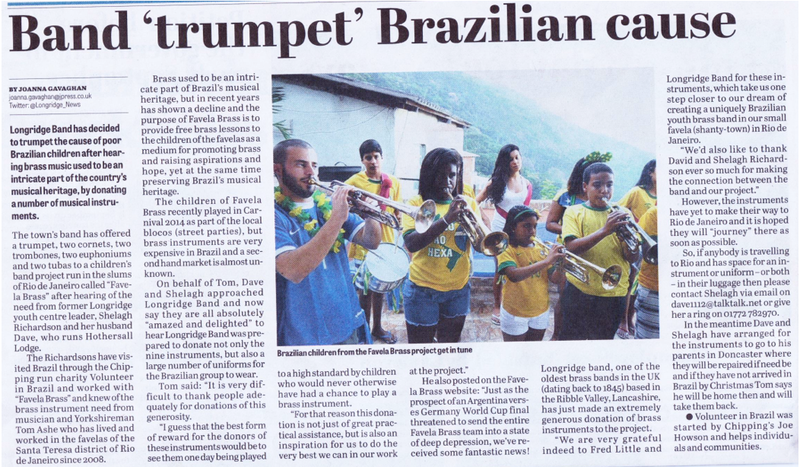 Thanks again to Shelagh and Dave Richardson and Fred Little for arranging the donation of the instruments from the band and to Joanna Gavaghan for the article. ...loving that cheesy headline as well!